Sally Peterson Brinton is a piano soloist who has performed with the Utah Symphony Orchestra nine times, with the Julliard Orchestra at Lincoln Center, and with various orchestras throughout the United States. Brinton has also performed in concerts throughout Europe, Russia, and Siberia. She tours with two of her children, Stephanie Brinton Parker and Lindsey Brinton Harris, who have performed with her at Carnegie Hall. She earned a bachelor’s degree from the University of Utah and holds a master’s degree in piano performance from the Julliard School of Music. She won first prize at four national piano competitions. 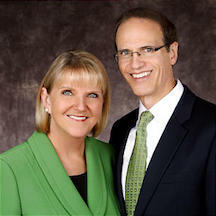 She served with her husband as he presided over the Russia Vladivostok Mission for The Church of Jesus Christ of Latter-day Saints. They are the parents of seven children. This page was last edited on 19 June 2017, at 23:04.